An Ikeja High Court has fixed Dec. 14 to hear the no-case submissions in the ongoing corruption trial of Justice Rita Ofili-Ajumogobia, a Federal High Court, Lagos judge and Godwin Obla, a Senior Advocate of Nigeria (SAN). The News Agency of Nigeria (NAN) reports that Justice Hakeem Oshodi fixed the date on Friday after hearing the submissions of the prosecution and defence. Oshodi, while adjourning, had noted that counsel should by the adjourned date, “tidy up” all applications to ensure that the court attends to them simultaneously, saving precious judicial time. Earlier during proceedings, Mr Robert Clarke (SAN) defence counsel to Ajumogobia, had informed the court that he had filed a Motion on Notice dated Oct. 23 challenging the jurisdiction and competency of the court to hear the case. He, however, noted that he intended but was yet to file a no-case submission before the court. Mr Ifedayo Adedipe (SAN), Obla’s defence counsel, in his submission, informed the court that he had filed a no-case submission dated Sep. 14 but was yet to receive a response from the EFCC. Responding, Mr Rotimi Oyedepo, the lead prosecuting counsel for the EFCC, admitted to receiving Adedipe’s no-case submission, but noted that he was waiting to receive a similar application from Clarke. “I await the first defendant’s counsel to approach me because it is not tidy for me to respond to both applications separately,” Oyedepo said. NAN reports that during the previous court proceedings held on Sep. 14, the EFCC had closed its case against Justice Ofili-Ajumogobia. In proving its case of corruption against Ofili-Ajumogobia, the EFCC had presented 12 witnesses and tendered several documents that were admitted in evidence by the court. The anti-graft agency had alleged that Ofili-Ajumogobia illegally received a sum of $793,800 in several tranches from different sources between 2012 and 2015. On his part, Obla (SAN) was alleged by the EFCC to have offered a sum of N5million as gratification to Ofili-Ajumogobia so as to pervert the course of justice. 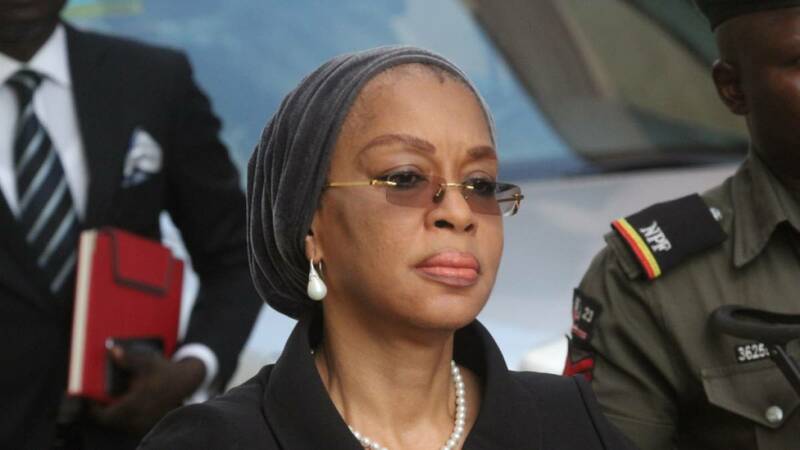 The National Judicial Council (NJC) had on its 87th meeting which was held on Oct. 3, under the Chairmanship of Justice Walter Onnoghen, the Chief Justice of Nigeria recommended the dismissal of Ofili-Ajumogobia as a judge. The recommendation for dismissal was as on the strength of petitions filed to the NJC containing allegations of corruption against her by Mr Ibrahim Magu, the Acting Chairman of the EFCC.